Orphazyme was founded in 2009 with the objective to develop new therapies for patients suffering from protein-misfolding diseases with no or limited treatment options available. The company was based on a scientific discovery on the function of Heat-Shock Proteins (HSPs) by Thomas Kirkegaard Jensen and Professor Marja Jäättelä that was published in the scientific journal Nature. Since inception, Orphazyme has translated the scientific discovery into a late-stage clinical development program. To profoundly impact the lives of patients with orphan diseases and their families. Bringing innovative therapies to patients with rare, serious diseases. The strategy is to develop treatments for orphan diseases with protein misfolding where it can apply its specialized know-how in HSPs. The objective is to successfully conduct and complete the planned and on-going trials of arimoclomol for the treatment of protein-aggregation diseases, sporadic Inclusion Body Myositis (sIBM) and Amyotrophic Lateral Sclerosis (ALS), and the lysosomal storage diseases, Niemann Pick disease Type C (NPC) and Gaucher disease. As the clinical development program for arimoclomol progresses, Orphazyme intends to refine and finalize its commercialization strategy and build its commercial structure and operations. The company intends to build its own sales force in key markets. In markets outside the USA and Europe, Orphazyme currently intends to partner with local/regional distributors or license partners in certain other geographical areas. Protein misfolding is the hallmark of a broad range of diseases and Orphazyme’s strategy is to use its expertise, including proprietary know-how to select and develop new leads for suitable diseases, hence the development of a proprietary suite of New Molecular Entities (NMEs) with improved characteristics. Orphazyme intends to select diseases suitable for the NMEs based on genetic and mechanistic insights into selected protein-misfolding diseases. Care for people with rare diseases with a high unmet medical need. Work tirelessly to conduct the most thorough, diligent research and bring results to the lives of patients as quickly and safely as possible. Build powerful relationships with everyone connected to the diseases we are treating, to learn from the wider community. Previously at BankInvest Biomedical Venture and assistant professor in Systems Biology. "I co-founded Orphazyme with the aim to use my skills and experience to make a meaningful difference to the lives of those suffering from rare diseases. Having completed a PhD in medicine and worked for over 10 years in the life sciences investment industry, I lead Orphazyme with a focus on striving for excellence in every facet of the company." "It’s my scientific research which forms the foundation of Orphazyme’s work. Having spent years wrestling cancer biology, one late night in 2007 I was looking down the microscope and realised that I had made a discovery that transcended cancer biology and could change the lives of patients suffering from a group of rare, devastating diseases. That's when I decided to found Orphazyme; to use my knowledge and skills to bring a novel therapy to patients suffering from rare diseases." "As the CMO of Orphazyme I am thrilled to advance our programme in diseases that today have no or very limited treatment options and that inevitably lead to disability and in most cases to death. I build on my experience in clinical neurology and drug development to advance our ambitious clinical programme. My areas of expertise include neurology, psychiatry and rare diseases, and I’ve lead development programmes for new drugs from phase I to phase III." "At Orphazyme I get the opportunity to make a difference for the patients suffering from rare diseases, and at the same time do interesting science alongside highly dedicated colleagues. This makes it a great pleasure to go to work every day!" "It’s a pleasure to work together with dedicated people, and there’s a special entrepreneurial spirit at Orphazyme, which gives a dynamic feel to the work environment, and means there’s no such thing as ‘business as usual’." "Orphazyme is a challenging and scientifically attractive place to work because we develop the most innovative drugs for patients that need a very gentle treatment." "I cherish that Orphazyme combines excellent science, collaboration with key opinion leaders and a talented team in drug development, to provide better medicines for orphan diseases." "Great people, great science and, importantly, the chance to use my scientific background to make a difference for patients, is what I love about working as a member of the research team at Orphazyme." Bo Jesper Hansen holds a MD and PhD degree in Medicine from the University of Copenhagen. 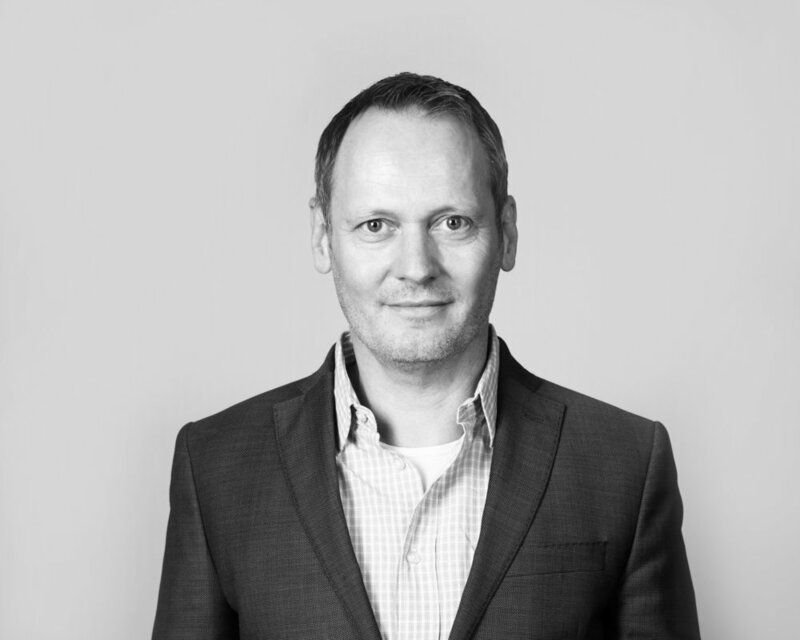 Martin Bonde holds a Graduate Diploma in Business Administration (HD i Udenrigshandel) from Copenhagen Business School, a Master of Science and a PhD in Chemical Engineering from the Technical University of Denmark. Rémi Droller holds a master’s degree in molecular biology from Université Pierre et Marie Curie and a master’s degree in finance and management of innovation from Masternova. Sten Verland holds a master’s degree in Biology and Mathematics and a PhD in Immunology, both from the University of Copenhagen. Martijn Kleijwegt holds a master’s degree from the University of Amsterdam. Anders Hedegaard holds a Master of Science in Chemical Engineering and Biochemistry from the Technical University of Denmark. Catherine Moukheibir holds a Master in Economics and an MBA degree, both from Yale University. Experience heading out-licensing, acquisitions, in-licensing etc. Currently: MS in molecular biology (Paris VI University) and MS in finance and Innovation Management (Masternova – AgroPariTech). Rémi joined Kurma in September 2010. He was previously with CDC Innovation from 2000 to 2003 and with AGF Private Equity (now Idinvest Partners) from 2003 to 2010 where he was in charge of the development of the Life Sciences investment activities. During this period, Rémi served on the board of several investee companies such as Adocia, Bioalliance Pharma (listed on Euronext), Domain Therapeutics, Integragen (listed on Alternext), Novagali Pharma (listed on Euronext), Prosensa and Zeland Pharma. Novo A/S, the holding company in the Novo Group, was established prior to the demerger of Novo Nordisk A/S in 2000. Novo A/S is a private limited liability company fully owned by the Novo Nordisk Foundation. Besides being the majority shareholder in Novo Nordisk A/S and Novozymes A/S, Novo A/S provides seed capital (through Novo Seeds), venture capital (through Novo Ventures), and growth capital (through Novo Growth Equity) to development stage companies within life science and biotechnology. Novo A/S also manages a broad portfolio of financial assets. Aescap Venture is a venture capital company investing in private medical companies in Europe. Aescap Venture has a long-term investment horizon and invests in high-potential companies. This involves investments in all phases of development with an emphasis on earlier stages. Aescap Venture's added value is based on a multi-disciplinary team of experienced investment partners with proven track records of success and the skills to coach entrepreneurs in accelerating the growth of their companies. Kurma Partners is a key European player in the financing of Innovation in Healthcare and Biotechnology, from pre-seed to growth capital, notably through Kurma Biofund I and II, and strategic partnerships with prestigious European research and medical institutions. Kurma Biofund II is the first Venture Capital fund dedicated to financing innovation in the rare diseases space. LSP is an independent European investment firm, providing financing for private and public life sciences companies. LSP’s mission is to connect investors to inventors, focusing on unmet medical needs. Since the late 1980s, LSP’s management has invested in about 100 innovative enterprises, many of which have grown to become leaders of the global life sciences industry. With over €1 billion of investment capital raised to date and offices in Amsterdam, Munich and Boston, LSP is one of Europe’s leading life sciences investors. The LSP Health Economics Fund invests in innovative products that can increase the quality of health care, while reducing the cost of care. The ALS Investment Fund supports and finances biotech companies that develop drugs and diagnostics for Amyotrophic Lateral Sclerosis (ALS), also known as Lou Gehrig’s disease. The Fund was initiated by 3 Dutch ALS patients and is supported by a top-tier European VC firm, Life Sciences Partners. The ALS Investment Fund invests globally, but focuses on Europe and the US. The fund brings depth of disease-specific knowledge and a deep network in the space.